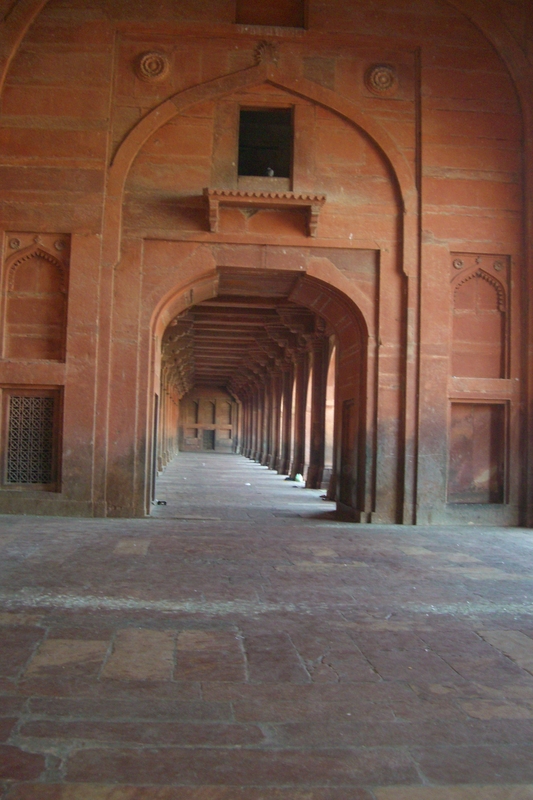 Fatehpur Sikri- A Must See Marvel of Indian Mughal Architecture. 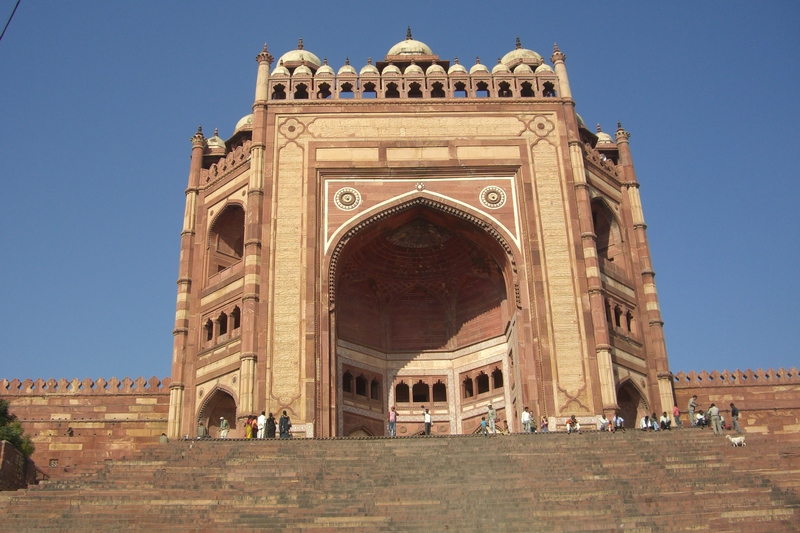 The Imposing 55m tall BULAND DARWAZA (victory arch) stands at the entrance of the palatial complex. 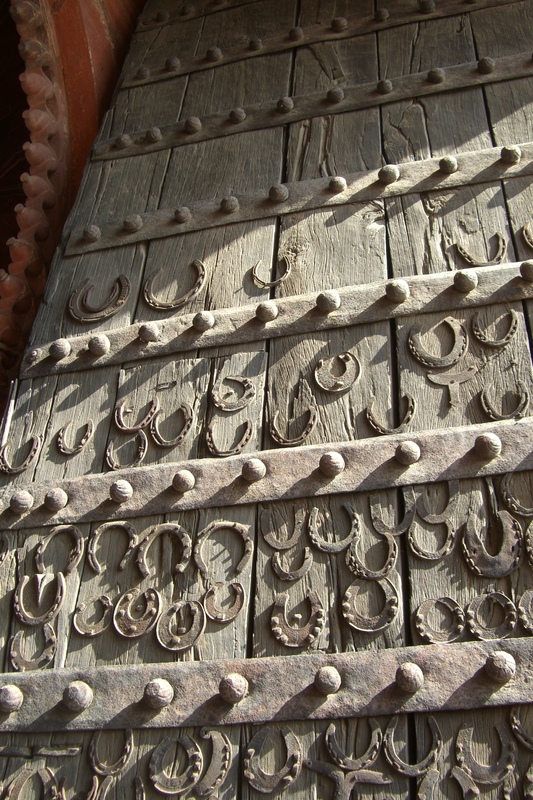 The Horseshoe Gate, where horseshoes were nailed for good luck. 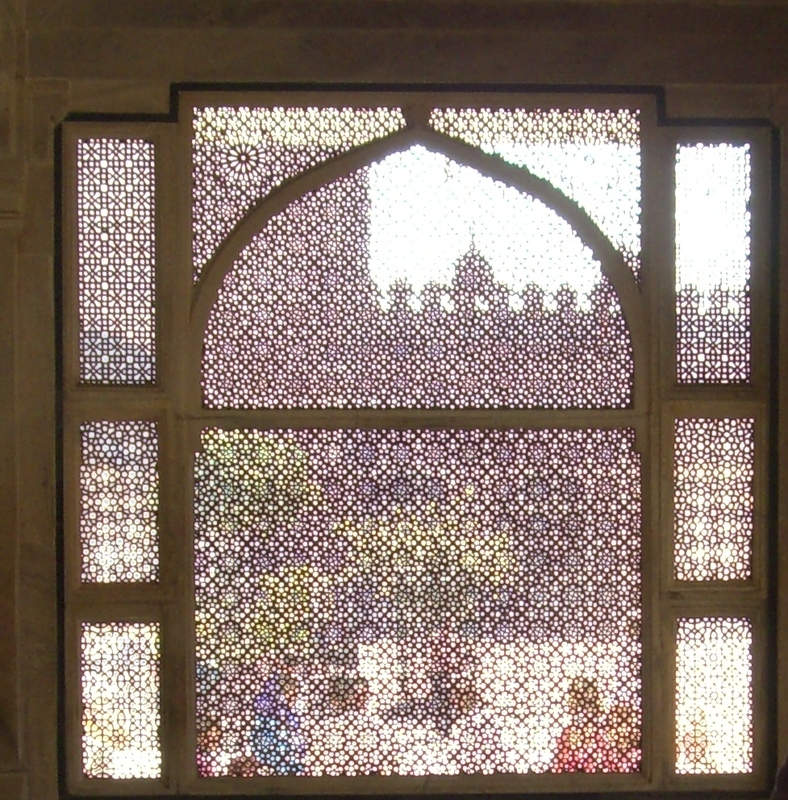 Jali, the exquisite stone screens that are a feature of the tomb of Salim Chisti in the center of the complex. Located a stone’s throw away from Agra (the home of the TajMahal), in the North Indian state of Uttar Pradesh is Fatehpur Sikri (Fateh Arabic word meaning victorious). 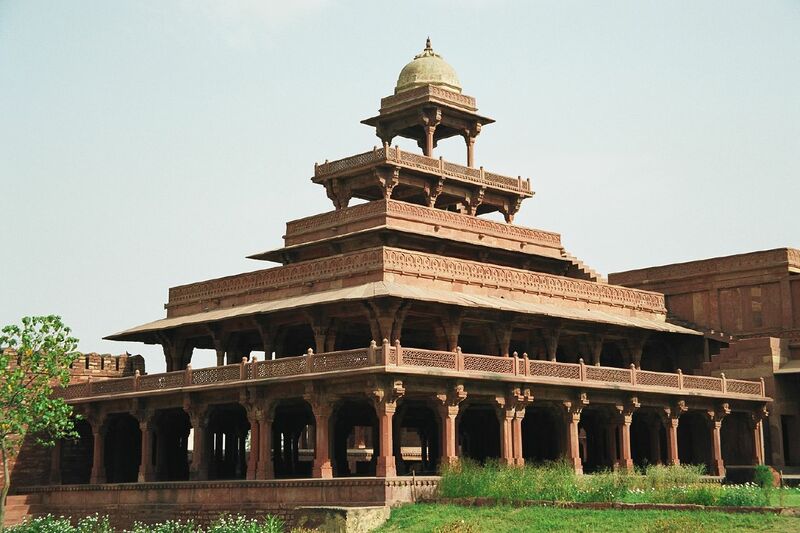 It served as the capital of the emperor Akbar (of the famed Jodha Akbar) from 1571-1585. Designated a world Heritage sight, it is a prime example of India’s Mughal Architecture and is not to be missed particularly if you make the effort to visit the Taj Mahal in Agra. Built in the honor of the Sufi Saint Salim Chisti, it is a walled city with a series of palaces, courts, harem, a mosque, private quarters and so on. 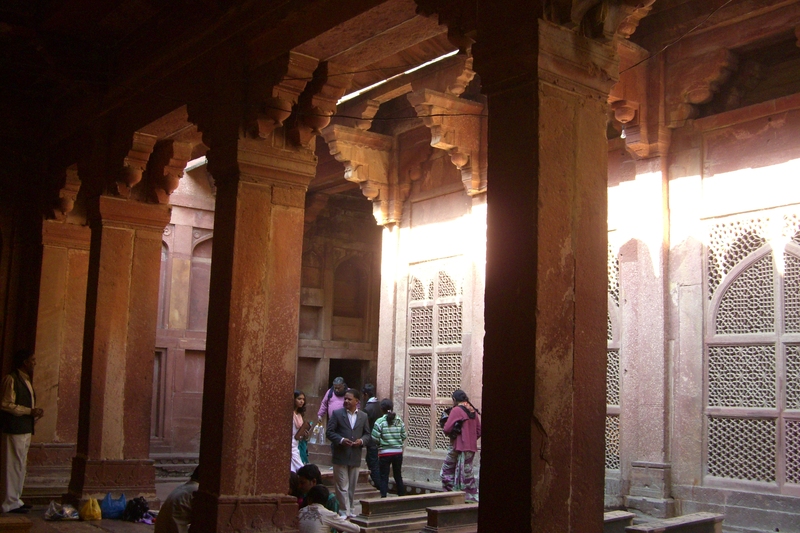 Constructed almost entirely from red sandstone, this essentially Islamic edifice has many Hindu and Jain embellishments. Spend about an hour or two and wander around the complex and sink your teeth into some juicy history by availing the services of some readily available local guides. Accommodations to suit all pockets are available in Agra or if you want to make it a day trip, you can choose to stay in New Delhi which is only a 6 hr commute away. But be sure to start early so to avoid the hellish traffic. Whenever I see these pictures, I’m reminded of the beautiful Qawwali ( a style of muslim devotional music) from the movie Garam Hava (Scorching Winds) which was shot at this place. The movie is perhaps the most poignant depiction of India’s partition which occurred in 1947 when it gained its independence from the British Raj (rule) and is a must watch. This entry was posted in Art, India Travel, India Unveiled and tagged Agra, Akbar, Buland Darwaza, Fatehpur Sikri, Garam Hava, India travel, Jama Masjid, Mughal Architecture, Qawwali, Salim Chisti, Sufi Saint, Taj Mahal on August 15, 2014 by Packerland.